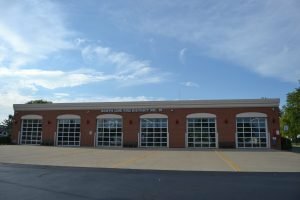 The mission of the South Line Fire District No. 10 is to provide the best possible Fire Protection and Emergency Medical Services to the community and its visitors. South Line Fire District No. 10 will protect lives and property from the ravages of fire and other unknown emergencies both within the District and Outside the District when requested via Mutual Aid. It is also the goal of the South Line Fire District No. 10 to promote fire prevention, provide safe working environment for its members, and to instill in the members’ the will to prepare and train for the unknown emergency in our community. South Line Fire District No. 10 is located in Cheektowaga, New York. The Town of Cheektowaga is a first ring suburb of the City of Buffalo. Our primary response is approximately 3.5 square miles. Borders are the West Seneca Town Line to the South, Transit Road to the East, Union Road to the West, and Losson Road to the North. Advanced Life Support (ALS-FR) Status. Since 1998, South Line has been providing optimum patient care up the NYS AEMT - I Level. In 2013, South Line achieved ISO Class 2 certification. Only 23 of 350 fire departments in NYS have achieved this certification. ISO investigates all the abilities of the fire department including training, response times, member participation, and operations to name a few.